And drink without using his hands! 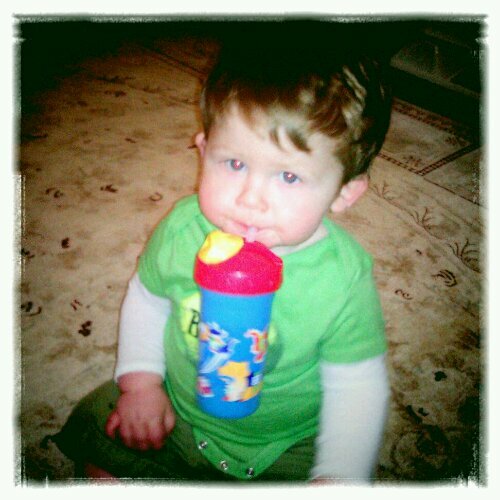 We made the progression from bottle to sippy cup and now on to straws and then to lidless vessles of staining beverages. Judah seems to like using his teeth as fingers as he realizes he has a third hand.